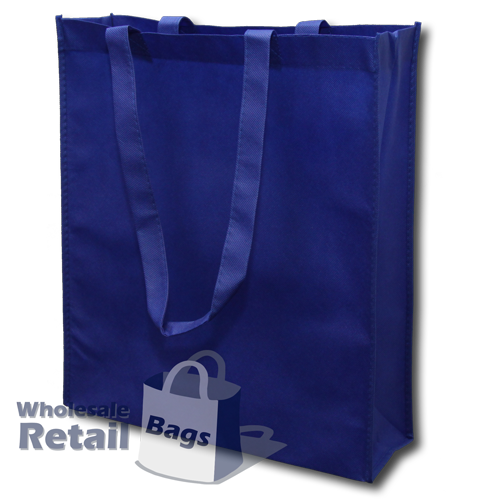 The nonwoven conference bag is one of our best sellers. We import high volumes if this stock, so we have a huge colour range available, and we're able to offer them at fantastic pricing. The size and shape of this nonwoven bag makes them an ideal choice for business conferences and for distributing product catalogues and samples. The lower pricing means they're also popular with our retail clients. The nonwoven basic bag and the nonwoven V gusset bag are similar dimensions to this bag, however the basic nonwoven bag does not come with a gusset, and the V gusset bag has a triangular shaped gusset.